A brand new butterfly! It just never gets old. 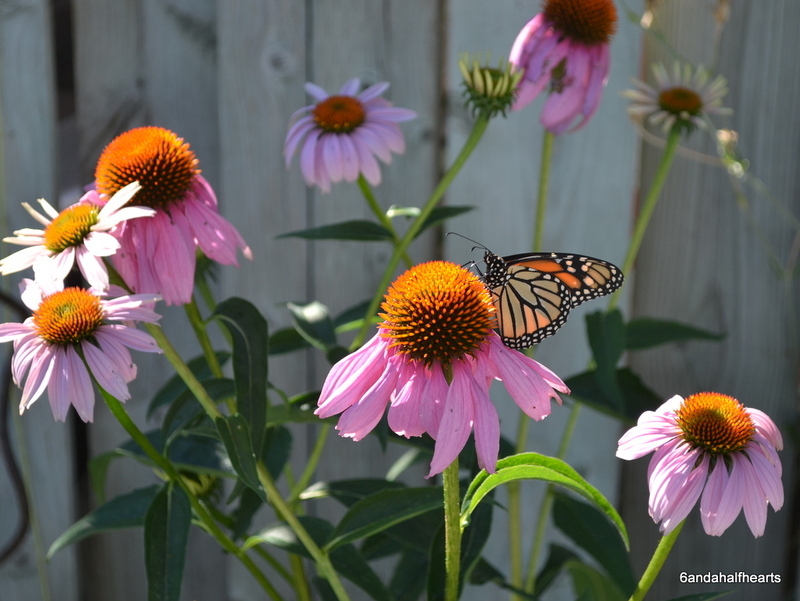 And ever since we made our Butterfly Garden, every year we raise at least a few butterflies, although I’m really started to suspect that I get more joy out of this process than the kids. Although Sophia is completely enthralled with them this year and calls me over to look at the caterpillars multiple times a day. go from that small to this big in a just a few weeks. Almost 2 inches long and pooping like a champ. We have quite the caterpillar nursery going here right now with eggs and babies and caterpillars. Call me crazy but it’s just my summer hobby… so there !! 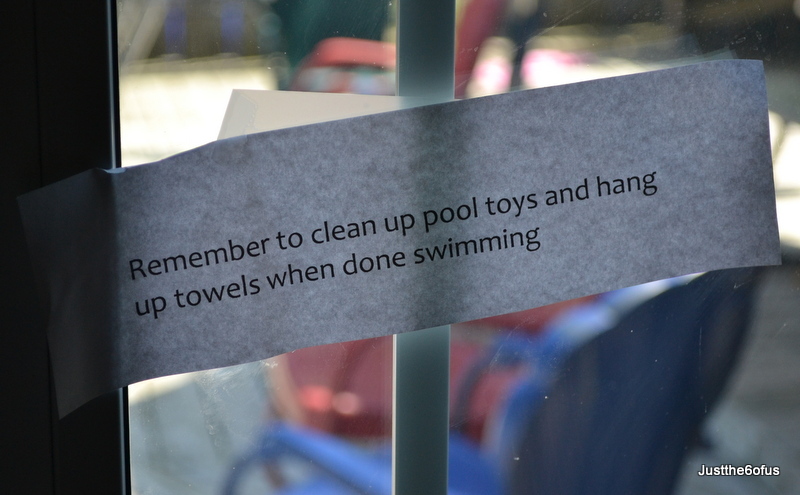 And I’m enjoying everything all a little bit more this summer because my house has miraculously been staying tidy. Even more tidy then when the kids were in school and that is a small miracle in itself. But I have to say I really think what is helping is my ‘neat notes’. Let me explain. And believe it or not, they’ve been working! For this oh-so-scattered-girl, they really work! 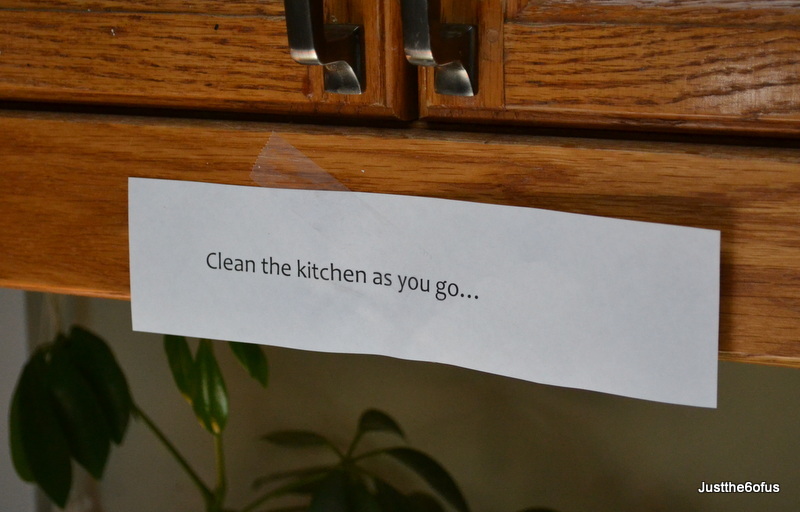 I come into the kitchen thinking of those million things things, but then read the note and think, “oh, I can do that” and then I do! It’s cut down on my kitchen clean-up time after dinner by 60%, it’s wonderful. These notes kinda make me laugh at myself and my mom says that they are like I’m nagging myself, but I just know that they force me to focus, and that it works. And I’m finding that in my pregnant – and let’s be honest… irritable state – a neat house is one less stress in my life. And a less stressed mom is a happier mom who can spend more time watching caterpillars and butterflies and playing with her kids. Isn’t summer wonderful? 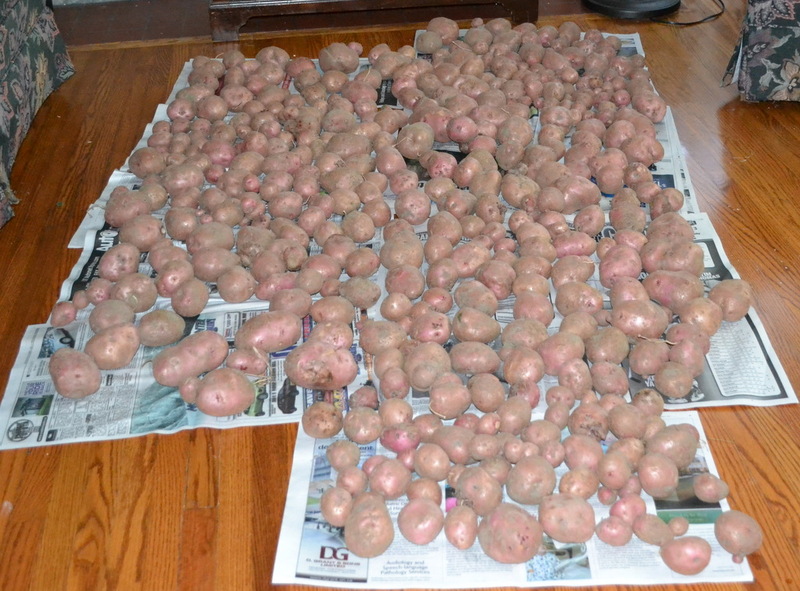 We took advantage of the warm weather we are having this week and my uncle John and I harvested our potato crop. Now, can I just say how much fun it is to watch the pitch-fork go down and wait with anticipation to see how many potatoes that plant grew? Because I found it very exciting, but as Jason will point out, it doesn’t take much to make me happy. I’m sure they will do this potato-loving family until Christmas and I’m tickled pink that we can enjoy the fruits of our labours until then. But that day as I was trying to figure out how much money growing our own potatoes saved us, my uncle John pointed out that it’s not about that. And he was right, it’s not. What having a garden this year has been about is being able to experience the joy that comes from watching things grow. It’s having the kids learn and experience the miracle that happens when you put a quarter of a potato in the ground and end up with 6. 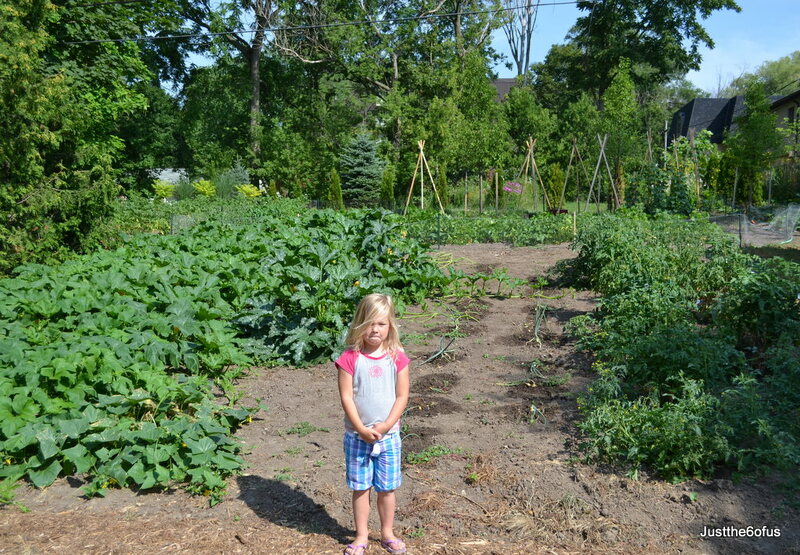 From seeing pumpkins grow bigger every time we went to the garden, to the fun the kids had pulling carrots out of the ground, wiping off the dirt off and eating them right there, to the fact that Sarah at age 4 can recognize a bean plant! And it also awakens the joy for me that my God is a God of miracles, of big ones like being able to save us from our sins and reconcile us to God, and on a smaller scale that through his incredible design a tiny seed can be put in the ground and grow and produce and give a huge harvest, and that is what I’ll take away from my garden this year. They do grow, but not in my garden because frankly there just wouldn’t be room! Yes, this year because I don’t have enough things to occupy my time, I’m a proud partner and care-taker of a massive garden. My uncle and I are doing it together at his house and it’s been a lot of fun. As a child I remember working in the garden at home and perhaps not loving it, but now that I’m an adult and it’s MY garden, I have to say I really enjoy it. It’s just tough finding the time to go over to work in it and a little bit tougher convincing the kids that they want to go. But when they get there, they do just fine. Our pumpkins. 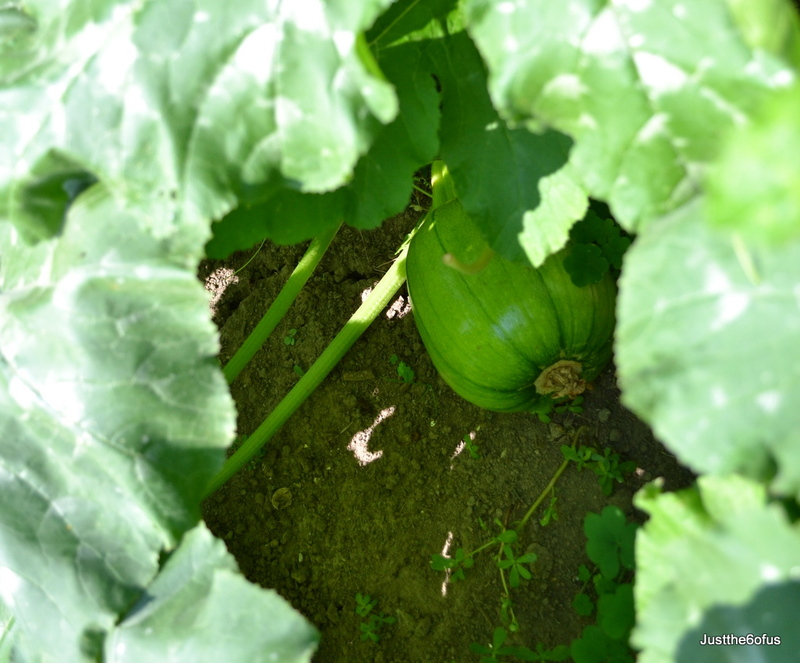 This was one of our babies a month ago, he’s massive now, about 3 times the size and we have about 8 pumpkins in all. 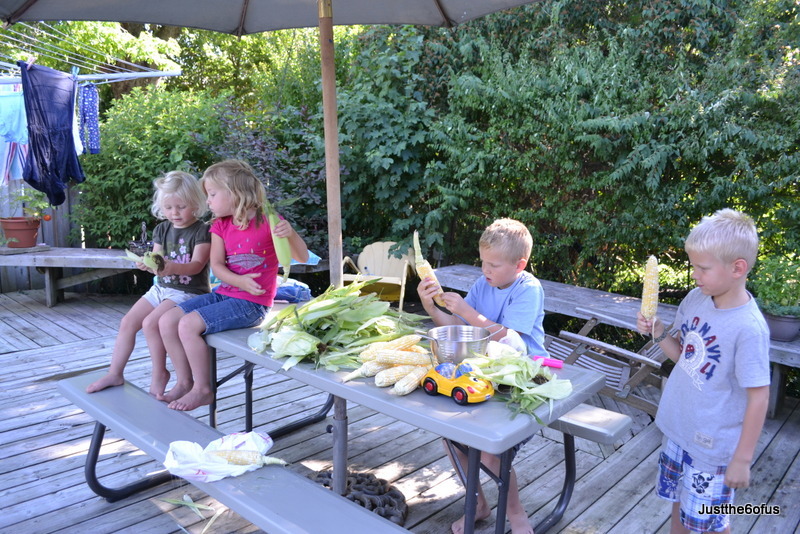 It’s so exciting and the kids just love watching them grow bigger and bigger and bigger! We also have green and yellow beans in our garden- we ate a ton and I put some in the freezer – tomatoes, pickles, cucumbers, leeks, onions, an assortment of peppers, pole beans, zucchini and potatoes, beets and carrots. We’ve already eaten potatoes and beets and cucumbers as well as the beans nothing beats produce out of your own garden. And now I have to put a plug in here to thank my uncle John because he’s been so kind to let me do this with him. I’ve really enjoyed the time spent working with him and the kids now know him much better and he gives them Freezies so they are huge fans… of his… and the Freezies. So life continues on here. Yesterday we spend the day with my mom as she’s recovering from a tear in her retina. And it sure isn’t fun for her to have to be lying on her right side ALL the time, for TWO week, ALL the time. I wish I could do more for her, but we are praying for her constantly and we know that God is in control and has her in His wonderful capable hands. Back to produce, the most interesting of subjects… today I did some peaches up for the winter. I made 2 batches of freezer jam and froze slices for smoothies and then made filling for 2 pies to freeze. It’s so cool what you find on the net because when I was looking for how to do this, somewhere ‘they’ said to freeze the peach filling in an empty pie shell and once it’s frozen, transfer it to a plastic bag, so when you want to make pie you just make the crust and plop your frozen peaches inside already in the right shape and then bake. Easy peasy. Someone was thinking and I’m always happy to benefit from other’s most excellent ideas. Well soon there will be blueberries to freeze, tomatoes to do something with – maybe salsa? Potatoes to dig up, pears to can and pumpkins to turn orange. But that just seems like fall so I’ll stop right there. 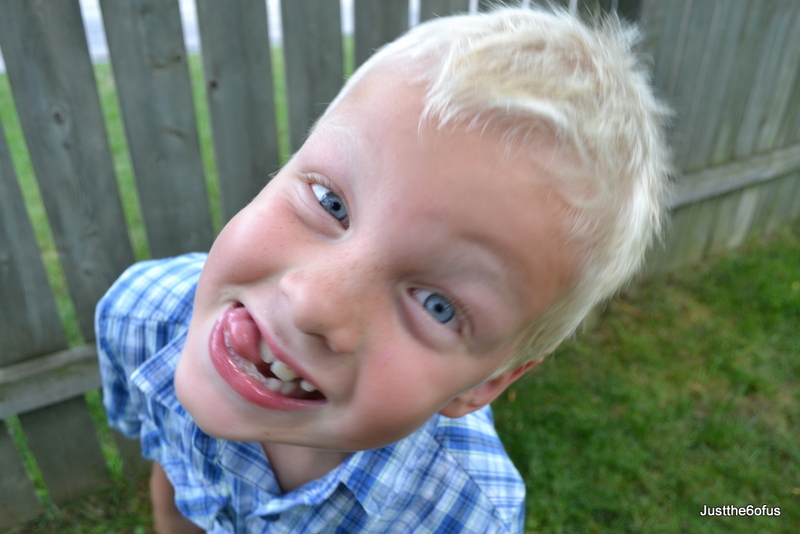 I’m still enjoying my summer with my crazy kids. 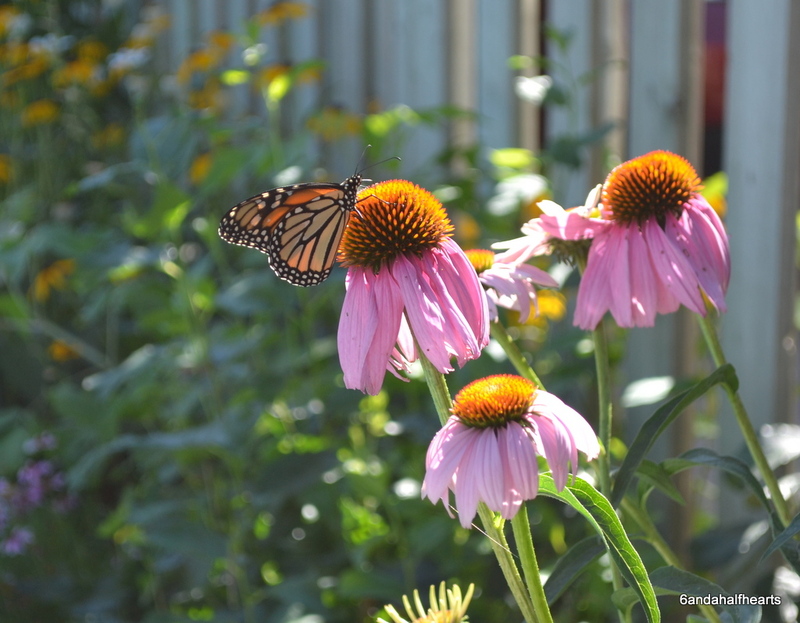 The kids and I saw a Monarch butterfly flitting around our new butterfly garden today! It was flying around and I’m not sure what it was doing, but it touched every milk-weed plant in the garden. Then it went behind the fence, there are milkweed there too, so I need to do a good check to see if it had a chance to lay some eggs. It’s so amazing the connection between the butterflies and the milkweed, things like that always make me marvel at God’s creation. Now I didn’t get a picture, first off because we still haven’t replaced our camera that broke and our old camera would never catch a buttefly in flight! Too bad. But the garden is coming along. 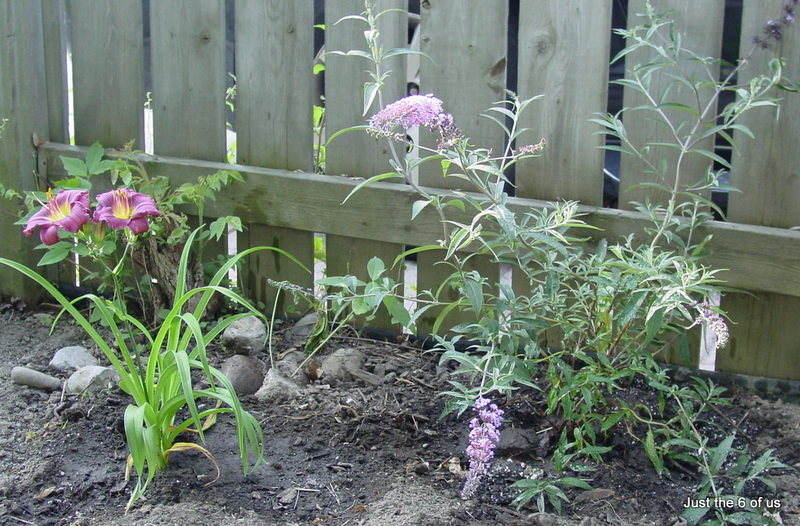 I had pulled everything out that didn’t belong and I’ve planted a butterfly bush, a new little purple daylily (Little grapette) and some zinneas, which are all flowers that adult butterflies love. My next goal is to transplant some other flowers that I have in other gardens, but it’s been way to hot to garden. Hopefully I’ll get a chance this coming week. And our caterpillars are growing like crazy. We had the three hatch last week and one is already over an inch long! 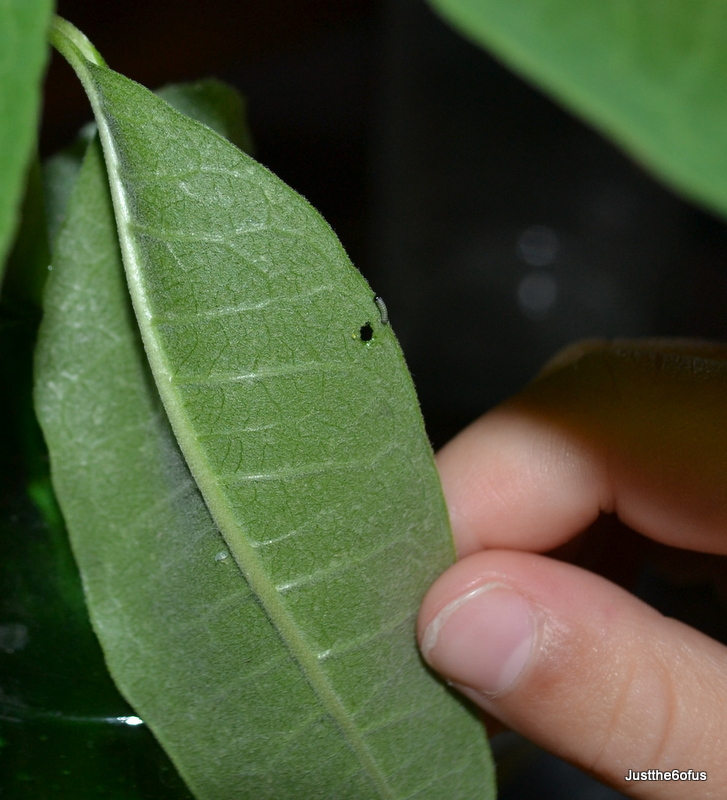 Then we found 2 more tiny baby caterpillars on a milkweed that had accidentally been pulled up, so we had five. One didn’t make it (he died) and when I check with our Monarch expert, Mrs. McCaw, she said this was normal. So we had four. Then I found yet another caterpillar outside so we were up to five again, but then today I noticed that another one was missing. It was our tinest baby, I think he must have crawled out of his cage. I should have had netting on the cage, so we’ll be careful next time… but we found 2 more eggs today, so we’ll just keep going! 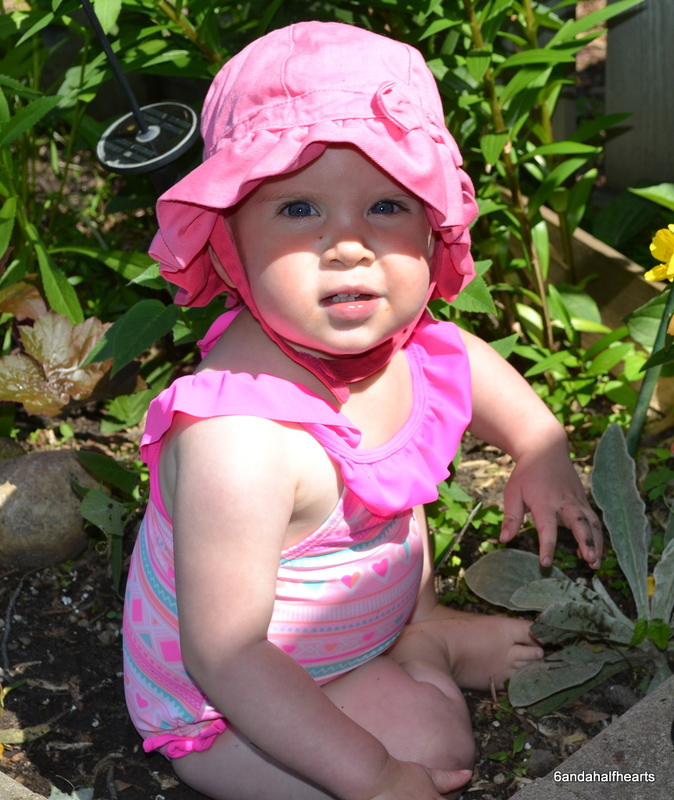 Here’s another little something I found growing in my garden… I can’t believe my baby is getting so big! 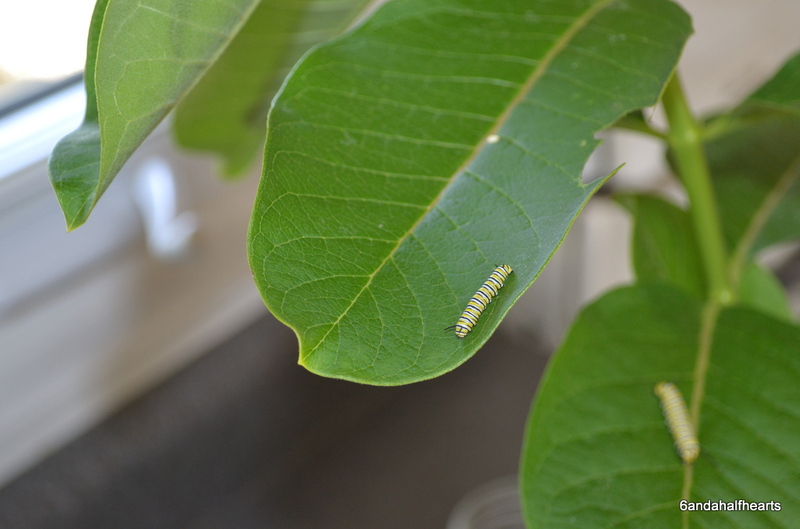 But my baby caterpillars seem to be filling up my need for babies… maybe that’s why I’m enjoying them so much? I do feel like their parent, but thankfully I’ve never lost one of my own children… haha. 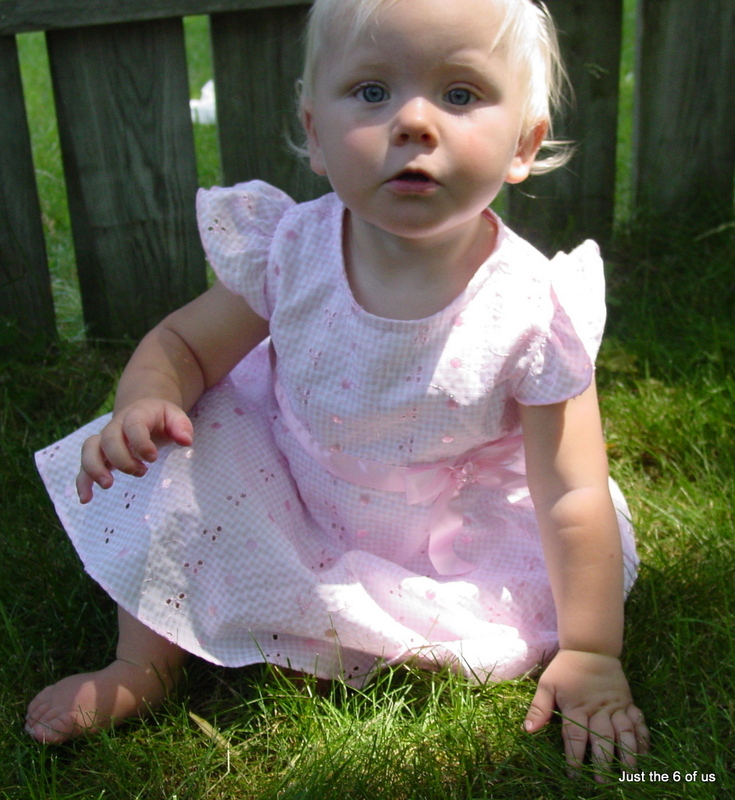 Babies and caterpillars, what a great combination! Thanks to Erik’s wonderful Grade 1 teacher, Mrs. McCaw, we are very excited about butterflies here. 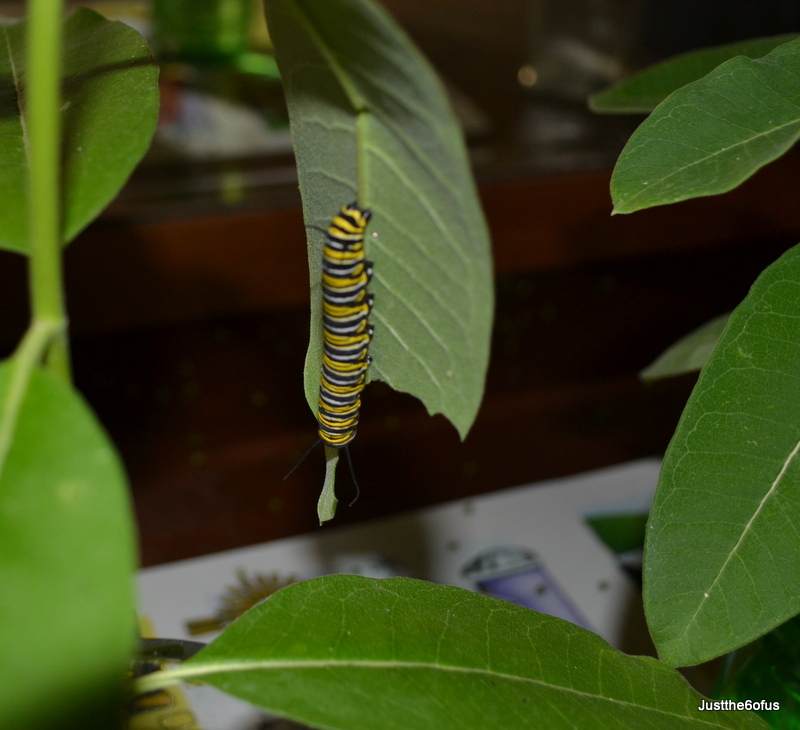 It all started in September when Erik started school and Mrs. McCaw had so many Monarch butterfly caterpillars in all different stages of life set up in the classroom. 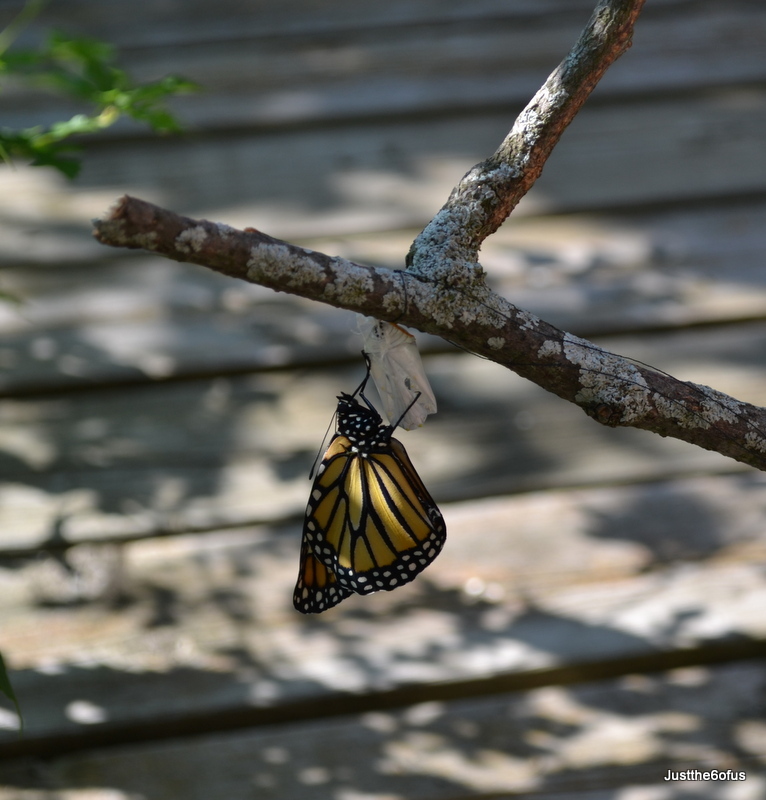 The children would observe them and after the butterflies had formed their chrysalis and then later emerged as butterflies, the children were able to go and set them free (usually with the butterflies landing on their noses first for a drink of sugar-water). So now it’s summer-time again and the Monarch’s are busy laying their eggs. But not just anywhere! They only lay their eggs on milk-week and low and behold, we actually have milk-week growing here in one of our flower gardens! I’ve pulled it out every other year (I’m not sure I even knew what it was) but this year, knowing that it’s on the ONLY host plant for Monarch’s, we’re keeping ours. And that led to Mrs. McCaw coming to our house this week to show us how to look for Monarch eggs and we have some! 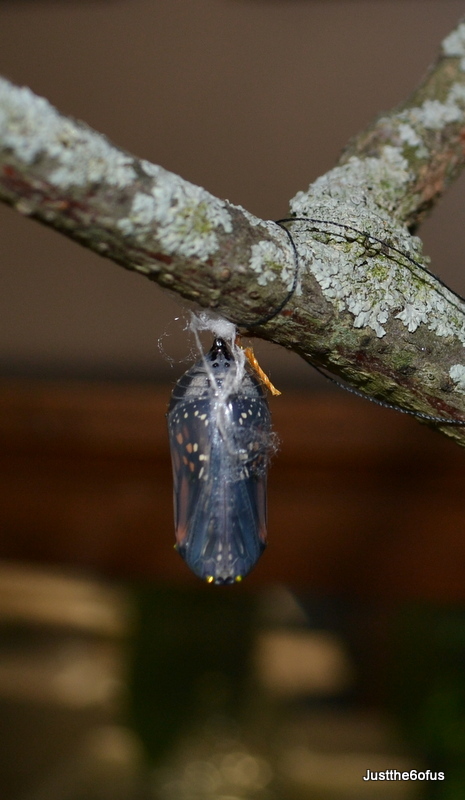 Now we just learned from the guide at the butterfly conservatory that out of the 200 eggs a monarch lays, only 2 of those will end up as mature butterflies, so the odds aren’t that great, but it’s easy to take them inside and raise them, so we’re going to try! Monarch’s are not endangered, but they are being watched, so it’s nice to lend mother-nature a hand, and what a science lesson! 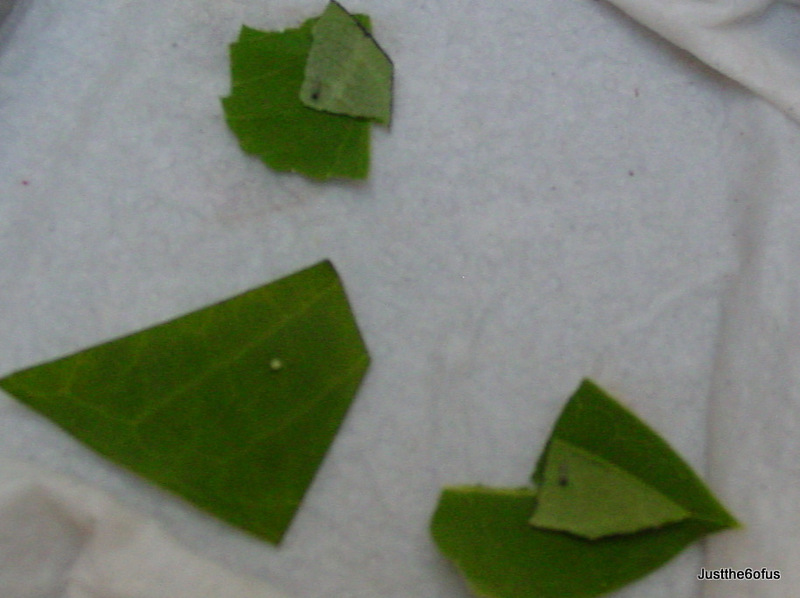 Here is an egg and 2 tiny tiny caterpillars that just hatched today! See how tiny they are? Too bad I didn’t put anything in the pic to compare, but that egg isn’t much bigger than the period at the end of this sentence. Sorry – I know they are hard to see, my old camera just doesn’t want to zoom in closer and focus. They are the little things with the black heads. It’s hard to believe that in two weeks they will be huge caterpillars! all over-grown and full of plants that aren’t meant to be in full sun all day. So yesterday, I dug most of it out. There were a lot of hostas… A TON. But now it’s ready for its new plants, I’ll keep you posted!